Students are able to grasp new vocabulary words based on context with extensive reading. Extensive reading is a language learning method in which students do a great deal of reading in order to gain repeated exposure to new vocabulary and grammar constructions. In contrast, intensive reading involves examining individual words and sentences and working slowly and carefully through the technical grammatical structures. Extensive reading is generally based on texts that are at or only slightly above the language learner's comprehension level. The student should be able to read the text relatively smoothly without needing to rely heavily on a dictionary or grammar book in order to understand the text. 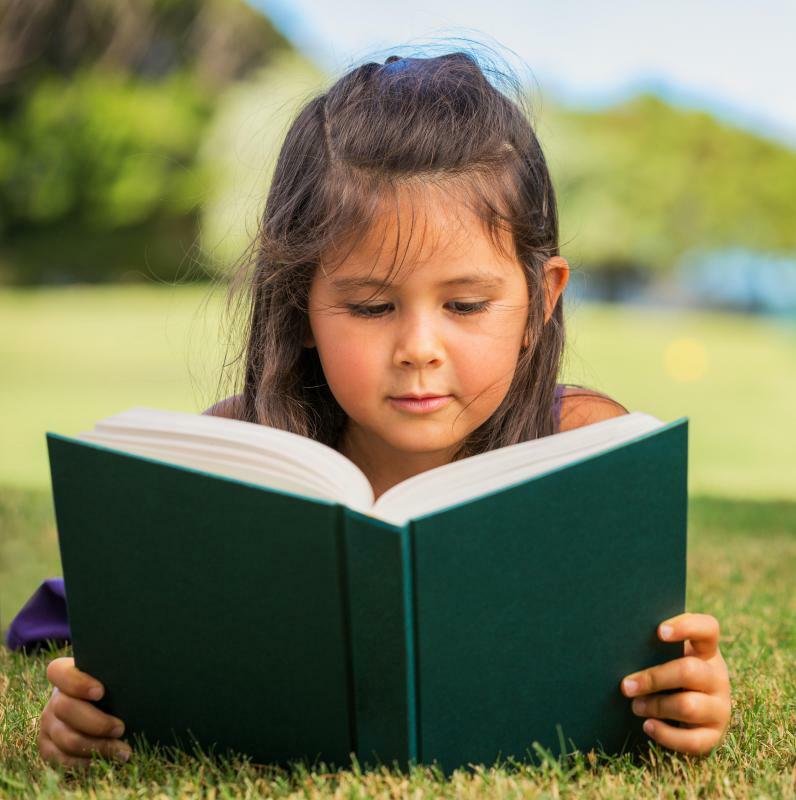 Various scientific studies concerning the usefulness of extensive reading for vocabulary acquisition and overall language improvement have returned a range of often-conflicting results. Contextualized vocabulary acquisition is one of the most important reported benefits of extensive reading. Students read texts at or around their comprehension level, so they are familiar with most of the words and grammar structures present in the texts. When a student encounters an unfamiliar word, he is usually able to grasp its meaning contextually as he tends to know most of the other words. More difficult texts, on the other hand, tend to be less helpful because the student will likely need to search for many of the words in a dictionary. This results in a slow reading pace and often forces the student to rely on intensive reading methods in order to understand the text. In many language courses that make use of extensive reading, evaluation, and grading are not major components of the reading program. Students are encouraged to try to enjoy the reading without worrying too much about understanding the precise meaning of every word. In some classes, students attend and participate in discussions of the readings on a regular basis. In other cases, students are encouraged to choose their own readings based on their interests and comprehension level. Extensive reading is well-integrated into some types of language classes while in others it is encouraged but not required. Graded readers, which contain grammar constructions and vocabulary appropriate to various levels of language learning, are available in many different languages. A graded reader for beginners, for instance, may be an illustrated story written entirely in the present tense that uses only the most common words used in the language. More advanced graded readers, on the other hand, are often longer and contain more complex grammar and more difficult vocabulary. Graded readers are excellent extensive reading resources as they allow students and teachers to easily pick texts of an appropriate difficulty level. What Is the Average Reading Speed for Adults? What Are the Different Types of Language Learning Resources? What Are the Best Tips for Learning a Foreign Language? What Are the Different Ways to Learn German? @MissDaphne -- Thank you for mentioning librarians! We can be great resources for extensive reading. Many teachers at the elementary and middle school levels require a certain amount of out-of-school reading (or they may even provide class time for it) and a librarian can help kids and parents find the right books. I'm glad the article mentioned, too, that independent reading needs to be at the child's own level. I can't tell you how many times I've seen parents trying to force too-difficult books on their child thinking they will learn faster. They won't learn anything if it's too hard! Some parents are even trying to skip picture books and rush their kids into chapter books, but picture books are a really important way to teach kids to love reading. The problem with graded readers is that they are often pretty boring! I often encourage my students and their parents to worry less about grade level and more about interest. If you are trying to encourage a child to read a lot -- and you should -- you will fail unless you can find something they like to read. It doesn't have to be novels; magazines count, too. Don't tell your child not to read something just because it seems "too easy" if the kid is really interested, but *do* ask their teacher or a children's librarian if they can recommend similar books at a slightly higher level.